To Seattle, where Leira makes very expensive cannabis cigars. 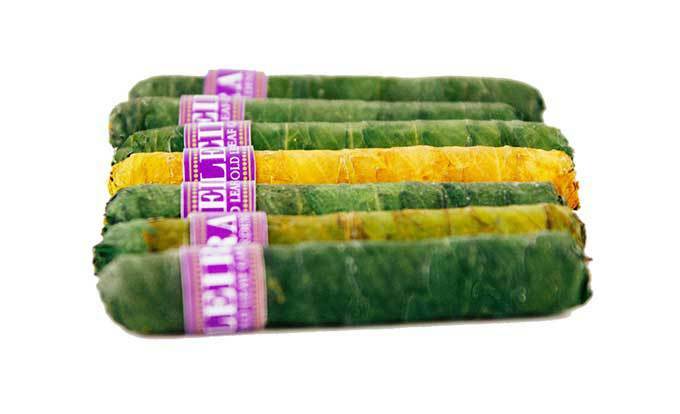 This cigarillo includes 4 grams of flower, coated with a half-gram of rosin, wrapped in cannabis leaves. It’s advertised as burning slowly over an hour. 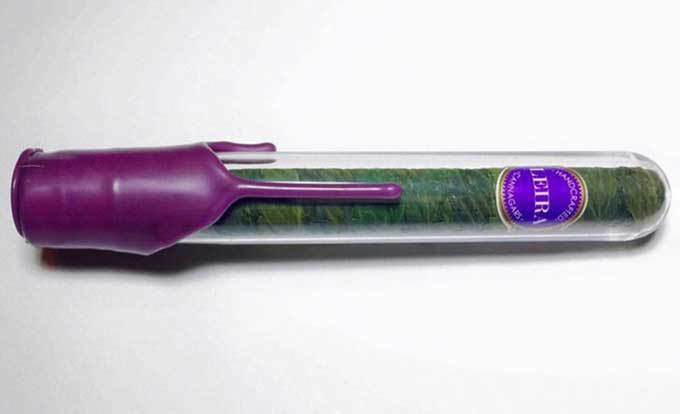 They also sell a six-inch Corona, which retails for $420, and which is filled with 12 grams of flower, sealed with 3 grams of rosin and also covered in cannabis leaves, that they claim will burn for us to five hours.